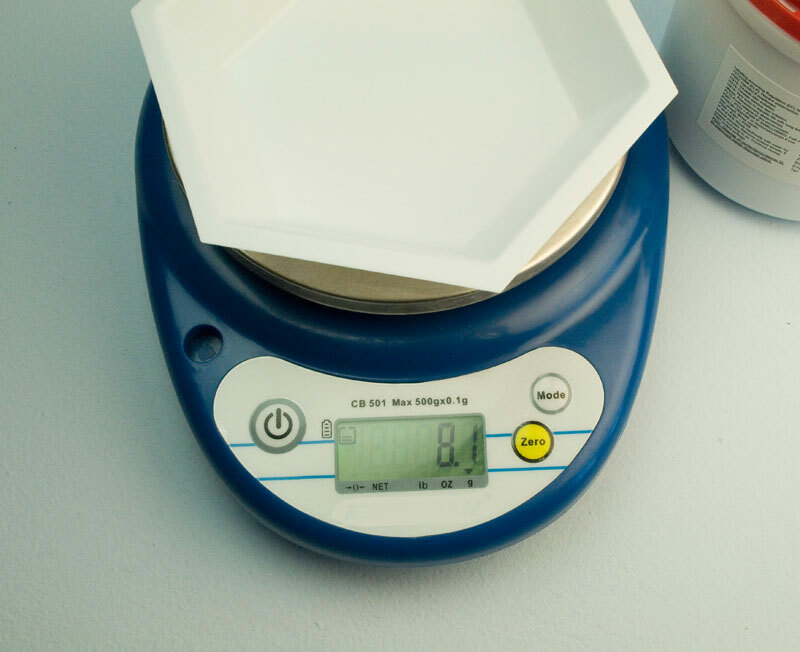 Our scales are essential for measuring out the correct amount of our Copper Electroforming Replenisher to keep your copper electroforming bath working at its optimum level. 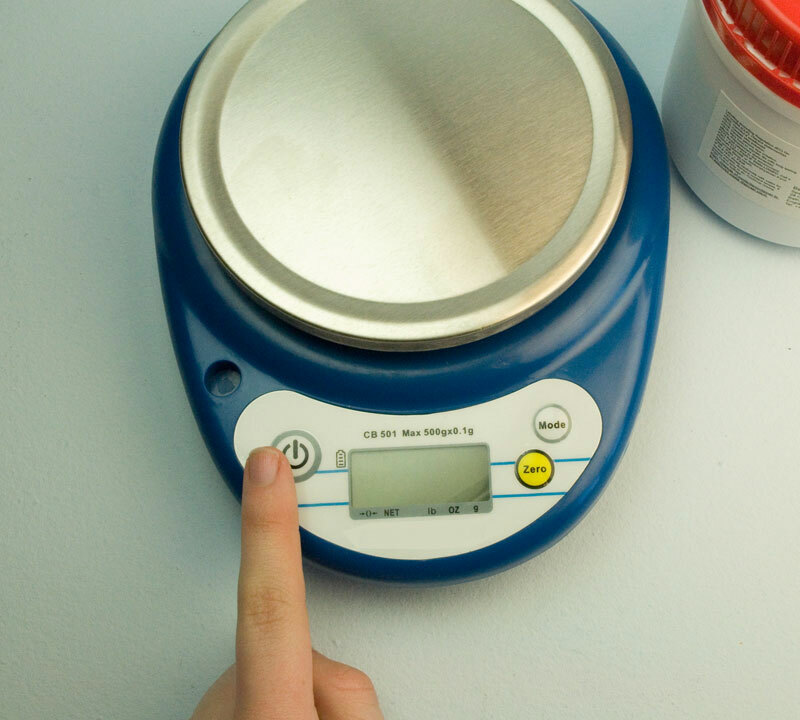 You will need your Copper Electroforming Replenisher, your scales, one of our weighing trays and the spatula. Press the On/Off button on your scales firmly for half a second and then release. You should be able to see 0.0 appear on the screen. 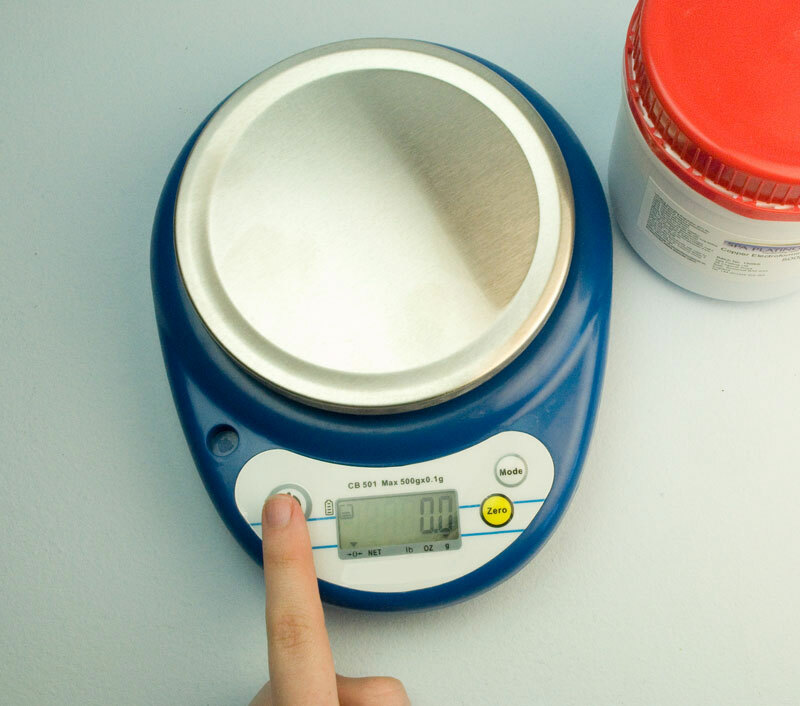 Make sure the screen is showing grams (g) and not ounces (oz) or pounds (lb). The small arrow should be pointing down on the ‘g’. If the arrow is pointing towards the ounces or pounds position, use the ‘Mode’ button to toggle the arrow to the grams position. 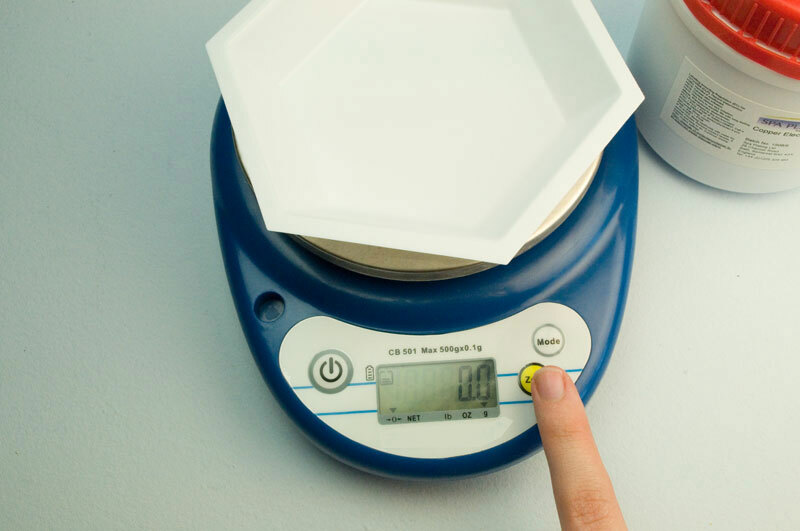 To measure out the correct amount of Copper Electroforming Replenisher you will need to return your scales to zero whilst the weighing tray is still on the scales. To this end, press the Zero button briefly but firmly and the scales will return to zero. You are now ready to use your spatula to weigh out the right amount of Copper Electroforming Replenisher. 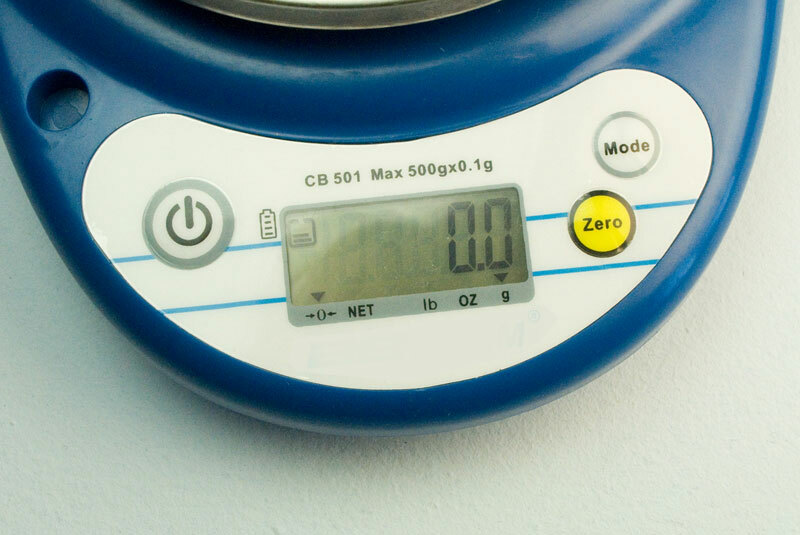 Make sure to turn off your scale by briefly but firmly pressing the On/Off button until the screen goes dark.